As we have expected before, the new design of Toyota Avanza is now available just after few weeks it is launched in the indonesian car market. the new avanza basically different in body kit and exterior. Lets see the difference of this new toyota avanza Malaysia 2008 / 2009 . Every journey is a fun-filled rideThe versatile new Toyota Avanza has arrived so you and your family can do more, enjoy more and simply live more. It has the space and the capability to bring whomever and whatever you wish on your joyrides. 5 fun-loving variants of this 7-seater MPV are available to suit your budget and lifestyle! The Toyota Avanza’s rear combination headlamps complement the overall styling of this popular MPV. The rear bumper spoiler gives the new Toyota Avanza a distinctive look from the back. The Toyota Avanza’s door handles and rear plate garnish are entirely chromed to add a touch of slickness. The smooth flowing side of this well-loved MPV is complimented by side skirting that projects a sporty personality. *Available in the new Toyota Avanza 1.5S. The interior sports a grege trim that is inviting and soothing for the driver and passenger. This pleasing colour is complimented by the soothing ash brown of the dashboard, centre console and door assist grip. Decorative panelling further enhances the interior of the new Toyota Avanza 1.5S. The multi-reflector headlamps not only brightly illuminate your way but also add more sparkle and finesse to the exterior look of the new Toyota Avanza. The front grille of the new Toyota Avanza 1.5S comes with chrome plating to enhance its sporty look while the chrome grille lends a more distinctive look to the Toyota Avanza 1.5G and 1.5E. The front bumper’s stable, low design satisfies form and function by giving the car a sporty look while maintaining a lower centre of gravity. Price range for new avanza is from RM62,000 to RM78,000 with 1.3 litre engine and 1.5 litre engine. Toyota should bring new mpv not a facelift anymore. This is second time facelift for avanza. Avanza is nearly five year old model since 2004. People wants fresh new model. every country will have different prices. hi. i need help. my avanza get scratch. front and back bumper. its really hurt me to see it. (also its my fault). so do anyone know how to paint back or get the color? my is green. i ask toyota and they said need Rm300 for small scratch. i think i cant afford to pay. any help? thanks. you can get a small touch up paint at eneos or some other auto parts shop. Usually i found that paint at eneos. Many of malaysia colour code paint sell there. Maybe you can find exact colour for your avanza. ok thanks kdi. its really really good.. just today i go to eneos 1utama and buy it. yep its match. G45 code colour. thank you so much.. but my touch up not nice. can see the line of brush.hehe..but its oklah. at least can cover from my boss to see the scratch.. hehe..thank you again.. really much appriciate your help. Yeah.. glad to help you bro. =) Anyway, at least you have your scratches covered there.. 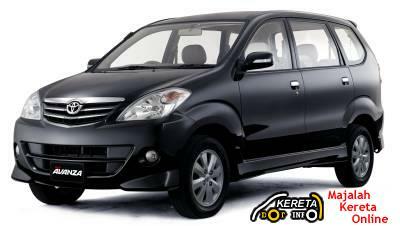 I interested new Toyota Avanza 1.5 M/T would you send information for introduce . I interested Avanza ni dah lama and rasa nak book satu la. Colour aper yg senang nak jaga. I nak nmpk mcm glamour and eksklusif. Hitam nmpk eksklusif tp adik ipar dah beli plak. Any cadangan?